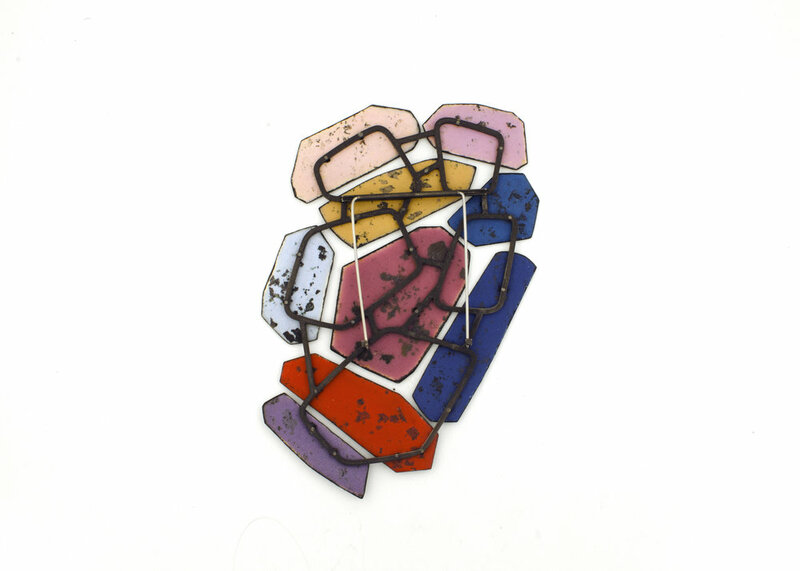 Colorscape Brooch 11 is a large yet lightweight brooch at 5" x 3", taking advantage of steel's ability to be relatively strong at a very thin gauge. 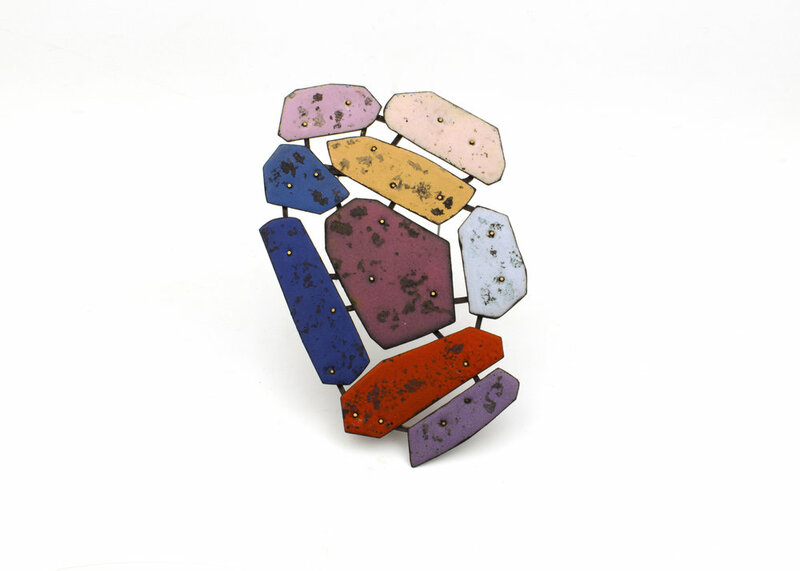 Colorscape Brooch 11 is part of my series, COLORSCAPE. In this series, intensely saturated planes play off of each other, allowing separate hues to reverberate and dematerialize into a field of color. Subtle forms and carefully arranged layers invite the viewer to explore the surface before investigating supporting armatures. The enameled elements, while seemingly coarse, provoke a sense of preciousness. The resulting collages are playful and curious, urging the viewer to handle and consider them as objects first, and then as engaging adornment.